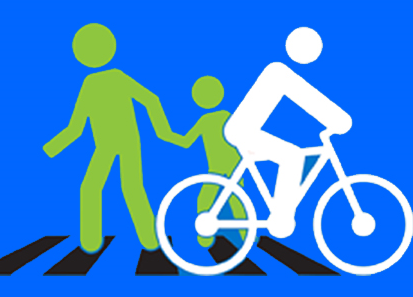 Can you spare a couple of hours to help with the 11th annual bike and pedestrian count? This year’s count is Tuesday, Sept 18, Wednesday, Sept 19, and Thursday, September 20th. You can choose one day (morning or afternoon) or count a few different intersections. Each shift is either 7-8:30 am or 4-6 pm. Volunteers can select the location they would like to count and show up Tuesday, or Wednesday, or Thursday (you do not have to count all three days). Our focus is to count annually the third week of September, however, if you are not available to count that week due to vacation or an unforeseeable conflict, you can still sign up and count the following week, Sept 25, 26, 27. The data collected is very valuable and essential in securing funding for better bike ways in Shasta County (the data has contributed to many of the new bike/ped facilities around the community)! Most recently the city has been improvements to Quartz Hill Road and we will soon see improvements on West St near Shasta and U Prep High Schools. For your safety and reliability of the data, if the Air Quality Index (AQI) is above 150 (check on purpleair.com) around the time and location of your count, please delay your count to the following day (W/TH) or the following week (T,W, TH). You may sign up here for your time slot and intersection. Use the COUNT FORM (if you count at a trail, you will want to have more than one copy of the form) and directions for the count. For more information, check out Bike Count Directions.